In 2009, the death of three contractors overshadowed a year in which Duke Energy’s employee overall safety performance improved. 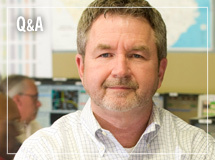 In the following Q&A, Mitch Griggs discusses Duke Energy’s 2009 safety performance. Q: What comes to mind when you reflect on Duke Energy’s safety performance in 2009? A: First and foremost, we feel a deep sense of loss for the contractor fatalities. After achieving no fatalities in 2008, last year reminded us that the difference between a near-miss incident and a fatality is often just a matter of inches or seconds. We turned these tragedies into a “call to action” for our employees and contractors by sharing what went wrong in each case and providing guidance on how to avoid similar accidents in the future. In addition to placing an even greater emphasis on working safely, we’re also collaborating with other safety-focused companies to exchange best practices and lessons learned. With that said, we shouldn’t lose sight of the fact that our employees achieved the lowest Total Incident Case Rate1 in company history. That took a lot of hard work and vigilance. We also had a 20 percent decrease in preventable vehicle accidents. When it comes to safety, however, you can never rest on yesterday’s achievements. You have to work to create a safe work environment each and every day. Q: How has Duke Energy improved its safety performance? A: In 2006 we set a “stretch” goal for safety: to climb from a third-quartile ranking among peer utilities into the top 10 percent by 2012. We’ve made excellent progress in reducing the number and severity of employee injuries over the past four years. I attribute our success to enhanced safety processes and systems, better recognition of workplace hazards, a consistent focus on safety by company leaders and a strengthened sense of accountability among our employees. Q: What does the company need to do to raise its safety performance to a higher level? A: First, we need to make sure all supervisors recognize their responsibility to keep employees from harm by constantly reinforcing safe work practices. Our employees must also continue to take greater ownership for identifying and mitigating risks in the workplace. Finally, we need to ensure our contractors fully understand our expectations for performing their tasks in a safe and responsible manner. Q: Why is building a culture of safety important to Duke Energy? A: Anyone who works for our company, whether an employee or contractor, has the right to a safe work environment. But preventing accidents and injuries requires a team effort that starts at the top and involves everyone in the organization. If we always put safety first and make it a pillar of our corporate culture, then it becomes second nature for our workforce. We’re not there yet, but I believe we’re headed in that direction.